Leave a comment on THIS post through Tuesday, March 7, 2017 to be entered in the DRAWING for a copy of the book below. If you mention in your comment that you’re a follower (see in the left sidebar “Join This Site” and “Follow by Email”), I'll add your name a second time in the drawing. U.S. mailing address required to receive a paper book. I may or may not have read books offered for giveaways. The mention and giveaway of books on my blog does not in any way indicate any manner of my endorsement of said books. Read book giveaway details at Disclaimers. To provide you security, please leave your email address like this: johnATyahooDOTcom. Winner announced in next Thursday's blog post. teacher with a BA in education and MA in counseling. Her characters find themselves in tough situations but overcome through God's power and the Word. She writes edgy topics wrapped in a good story. 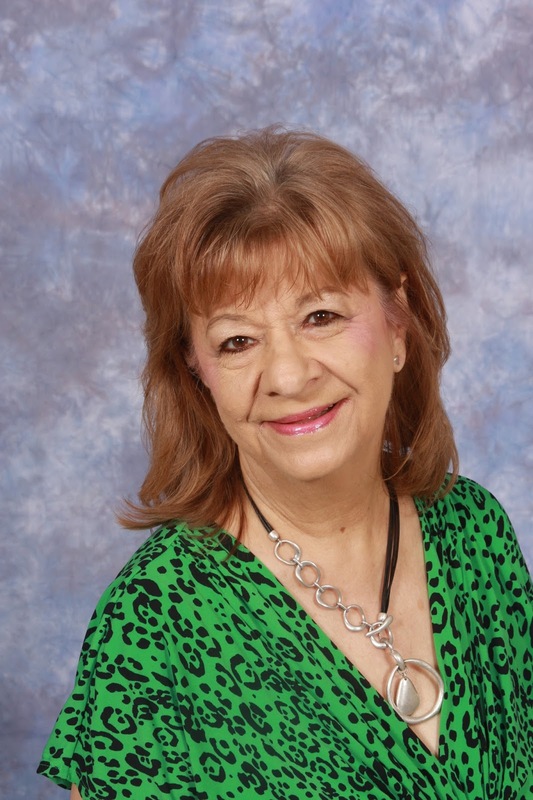 To date, she's seen fourteen contemporary romances published. Find June online at her website. Welcome, June. What takeaway value do you hope your readers receive after reading your book? In my story, the heroine always felt she was dumpy and unattractive, yet the handsome contractor-hero found her refreshingly attractive. I'd like the reader to ponder how God doesn't look at our outer appearance but at the person we are inside. And when one has the Lord in his life, he/she is beautiful within. One of my favorite places is St. Elmo, a silver mining ghost town northwest of Salida, Colorado. St. Elmo is the real life location which sparked my story Restoration of the Heart, a fictional ghost town named Silver Cliff in which my hero and heroine work together and fall in love. I definitely type on my computer and if there were no such things as computers, I'd use a typewriter. I'm not sure how authors of old managed to write such wonderful works by hand. Please tell us a little about your novel, Restoration of the Heart. rededicating his life to the Lord, he vows never to fall into the lifestyle again. When the state of Idaho's Tourism Department offers his construction company the contract to renovate Silver Cliff, an 1890's silver mining ghost town, he accepts. Where can readers purchase Restoration of the Heart? On the cover, my editor used one of my pictures I took at St. Elmo and inserted a picture of the heroine. So exciting to see my photography on the cover! In my story, Janie Littleton had always thought herself ugly, but the hero saw beauty. Have you ever known someone who may have been unattractive by worldly standards, but the more you knew this person, the more he or she became beautiful to you? June, thanks for visiting with my readers and me. 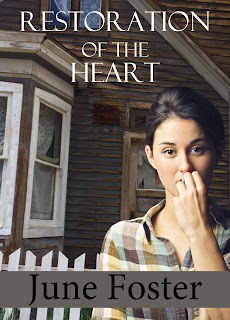 June is offering an eBook copy of Restoration of the Heart to one commenter to this blog post. Commenters, to enter the book drawing please leave your comment on this post through March 7, 2017 and remember to leave your email address so I can contact you if you’re the winner. The winner of last Thursday’s blog post for a copy of With Each New Dawn by Gail Kittleson is Ann K. I’ll email you. Thanks all for commenting. Watch for more book giveaways. My latest novella has released - With Good Intentions. Here is the cover, and you can read more about the book here. You can read the first chapter of the book on my website. Jo, loved spending time with your readers today. Thanks for having me. June, you're very welcome! It's my pleasure to have you visit my readers and me. I've read the book and readers will not be disappointed. I am reading Lavender Fields Inn by June now and really enjoying it. I would love to win a copy of another one of hers. Paula, thanks for leaving your comment. June, congratulations - pretty cover. Just cheering you on here! Becky, thanks for commenting. You're included. I have know many people who were not attractive but very beautiful because the Lord's radiance shown from them. I just love your books. Thank you for the opportunity to win this book! Thanks for the chance to win. I'm a follower of your newsletter. Kim, you're welcome. Thanks for commenting and for following! Ann, glad you found a new-to-you author here. Thanks for commenting and for following! Sounds interesting. The lady on the cover is quite a beauty, though, I think. ;) In any case, enter my name in the giveaway. Melissa, you're entered. Thanks for leaving your comment.